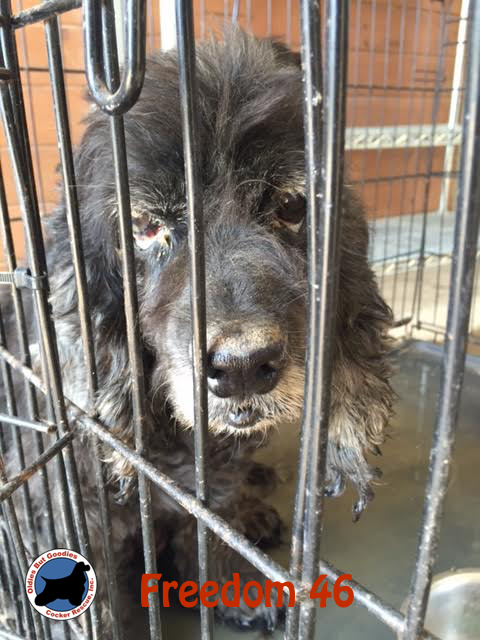 Earlier today, OBG Cocker Rescue facilitated the rescue of the 46 dogs (the Freedom 46) off of a property in Virginia. While most animal rescue organizations such as OBG have leaders who care passionately about animals and will do anything to make the world a better place for those animals, there are those rare rescues that somehow go astray. Such was the case with the rescue that had these 46 dogs. These dogs were living in a hot barn without anyone to give them proper exercise or keep their water dishes filled. Many were covered with their own feces and urine. 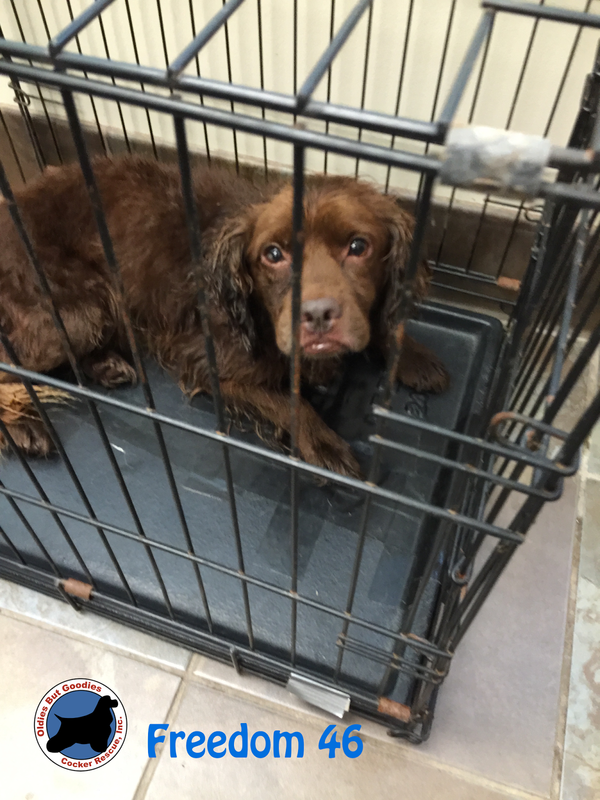 OBG worked with Animal Control and with the support of the Virginia Federation of Humane Societies to remove these dogs from that property. It has come to OBG's attention there are rumors circulating that OBG removed these dogs with the intent to kill them. Nothing could be further from the truth! OBG's volunteers dedicate countless hours every day of the week to promote the welfare and well being of homeless animals. We do this because we love and value the life of these animals. OBG volunteers receive no compensation for the work we do to save hundreds of lives each year and I am appalled that anyone would ever suggest OBG would EVER take dogs with the intent of doing them harm. 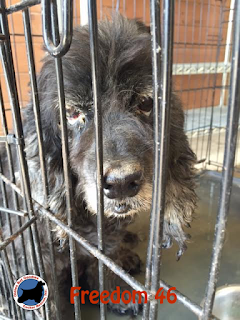 The dogs rescued from this property are now safely boarding with veterinarians that work with OBG and will be evaluated by veterinarians over the course of the next week with the goal of moving them into foster homes as quickly as possible. Unfortunately, we do not have medical records for most of these dogs and at this point, do not know many of their names. Accordingly, the vast majority of these dogs will need all vaccinations as well as other medical care to be determined by our veterinarians. This is a massive undertaking and as you can imagine, going to be very expensive. If you would like to make a donation towards the expenses of the Freedom 46, please click here. More details regarding this rescue will be forthcoming over the course of the next week. If you have any questions about specific dogs, please email me with any pictures and details about the dog and we will work to identify whether the dog is in our care. It will take many days to sort out 46 dogs so please bear with us. You can view more pictures from today's rescue here!